Why Choose Our Consignment Services in Orlando Florida? Home » Consignment Services » Why Choose Our Consignment Services in Orlando Florida? Orlando Estate Auction offers the best solution in consignment services in & around Orlando, Florida. Our fleet of trucks is being dispatched daily to pick up consigned estates. 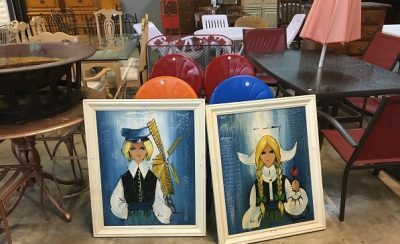 You might say “Orlando Estate Auction is a consignment shop near me”. Our mobile consignment trucks bring our services to you, in fact you won’t have to lift a finger, we do all of the lifting, boxing, packing, moving and transporting for full estates. 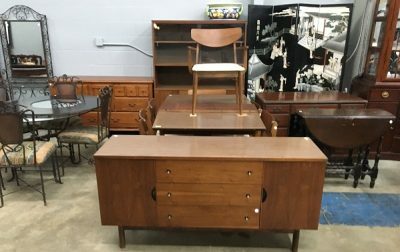 Orlando Estate Auction is the efficient alternative to a long onsite estate sale that only sells a portion of your items. We will send men & trucks to pick up everything we can sell, advertise your items, sell everything & mail a check the following week. One consignor recently remarked “I have a consignment store near me but they were unable to take the large items that I have. They only wanted the valuable small items from the estate.” This is a typical of consignment stores and their inability to clear larger items due to lack of space. We sell everything and we do it quickly. This full estate model enables a larger advertising budget, attracts a larger audience and produces a larger cash liquidation value. Why is it was so important to consign the entire estate for our estate auctions? The answer is simple. Large value items attract bidders with deep pockets as well as attracting a big crowd. A large bidding crowd increases average bids per item, thus estates sell for larger values when they are left intact and sold at one auction event. We are the most efficient and comprehensive estate liquidation company in Central Florida. We can pick up, sell, reconcile accounts and mail consignor checks typically in 8-10 days. Best of all, we don’t limit our sales to one type of item — we sell Estate Automobiles, Antiques, Furniture, Estate Firearms, Jewelry, Tools, Appliances, Pots, Pans, and more. If you have a large volume of estate items, Orlando Estate Auction is the most effective solution. Click here to submit photos if you have items to sell.